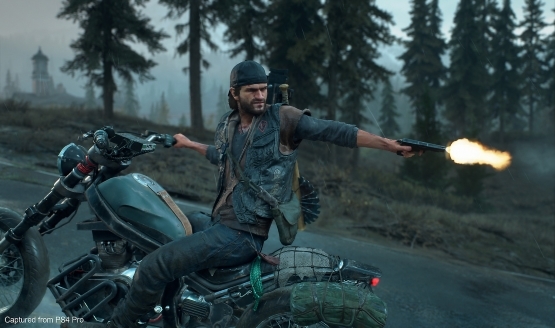 Sam Witwer, the voice of Days Gone’s Deacon St. John, talked about what went into bringing the character to life in an interview with Electric Playground. He revealed it all began with a tumultuous period of around nine months, then went on to talk about some improvisational elements and how many hours of cinematic scenes were shot. Working on Days Gone was a four-year process for Witwer. However, he noted that getting started was the hardest part, as recording didn’t go as he expected. He noted, “I got very moody on almost the first nine months of working on that game because I didn’t quite understand what was going on.” Witwer and the team at Sony Bend shot different versions of the same scene repeatedly, in order to find the right tone and personality for the character. Witwer also expressed his surprise at how Days Gone grew as time went on. He explained that Star Wars: The Force Unleashed and its sequel became smaller in scope, while this project was the exact opposite. For example, Witwer said that more side quests and scenes were added to the game to help players have more of an emotional connection to the character. In total, over six hours worth of cinematics appear in the game. Days Gone is set to release as an exclusive for PS4 on April 26th, 2019, and it is a big one. It’s a 67GB download! It’s not too far away, but you can still preorder the game on Amazon. Look out for our review in the coming weeks!